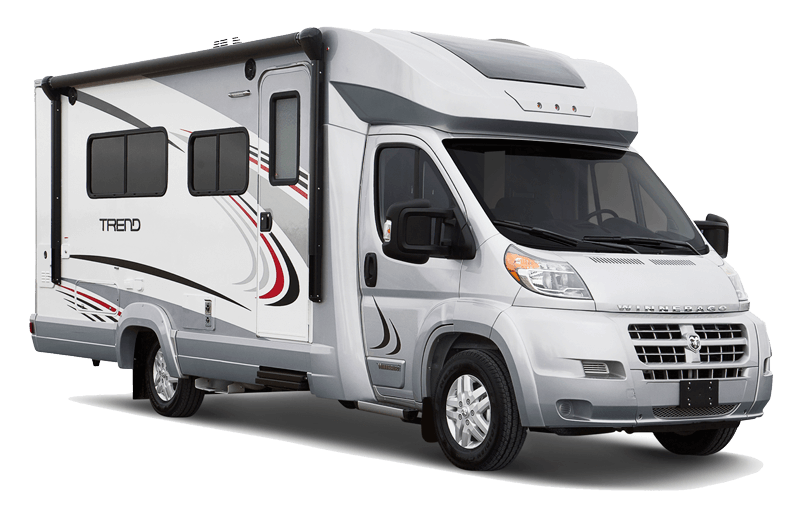 The Trend by Winnebago is a stylish and nimble class C motorhome filled with cutting edge features. Available interior amenities include Ultraleather furniture, mid-coach HDTV, smooth gliding shades, bench seats, ample sleeping space and satellite system ready. Exterior features include powered patio awning, LED lighting, automatic entrance door steps, premium high-gloss skin, front and rear mud flaps as well as rotocast storage compartments.